Malaysia is a wonderful place to visit with your family. And for kids, there is plenty of entertainment centers, unique theme parks, etc. There are several fun-filled activities for the kids with both indoor and outdoor facilities which can enlighten their moods and you can enjoy the place with you little ones. We have prepared a list of things to do in Kuala Lumpur with kids which would capture their fancy imagination and also give you the best experience of this city. This 7,000 square meters interactive science discovery center is located on the 4th floor of the Petronas Twin Towers. This complex is devoted to the field of petroleum science and explains the various concepts in an entertaining and fun way. The science museum opened its doors in 1999 to the general public. It is divided into 11 main interactive showcases and provides a hands-on interactive experience which has been very popular among local kids. There is an alluring style in the way you can gather information about science in a simplified manner. 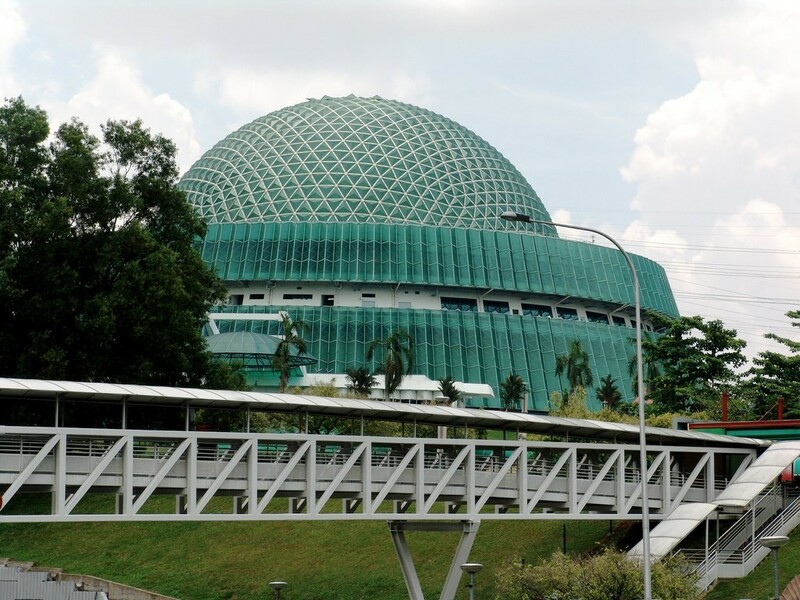 Located atop a tranquil hill in Kuala Lumpur and shaped like a futuristic green mosque topped off with a large dome. This is approximately a 20-minute drive from the Kuala Lumpur city. This huge center exhibits hands-on experience about science and technology. Kids have the option to participate in various science-themed experiments like moon walking, etc. Experience the best of Malaysia’s first overhead freshwater aquarium with 32 species of local freshwater creatures. You kid will love this wonderful experience especially the science show which is beamed straight into the interior of the main dome. An education + entertainment center designed to make the kids ready for the workplace. Kids undertake role-plays of pilots, surgeons, lawyer, secret agents, firefighters, new anchor, and much more. It would truly be an enriching experience for your kid. 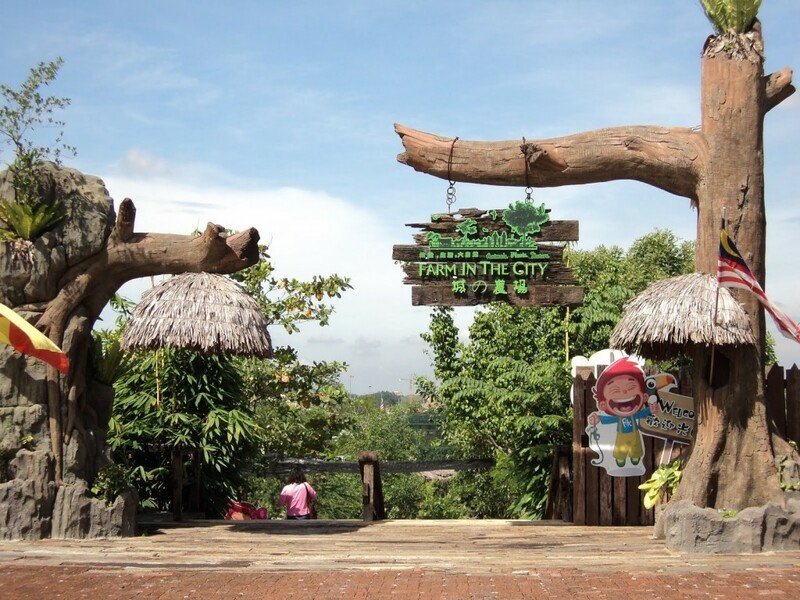 This is one of the best kids’ attractions in Kuala Lumpur. It will be definitely hard to convince the kids to stick to one role, as their bright minds would like to explore and experience several roles. All depends on what catches their fancy imaginations. Located in the Petaling Jaya, a thriving satellite town which is around 15 kilometers southwest of the Kuala Lumpur city center. Refresh yourself with the effervescent water rides on offer and other fun activities. One of the best way to relax and cool down over the weekend in Kuala Lumpur with kids. The inclusions of this star attraction are a surf beach, a manmade river ride, a wave pool, a 360 revolving pirate ship, and much more. 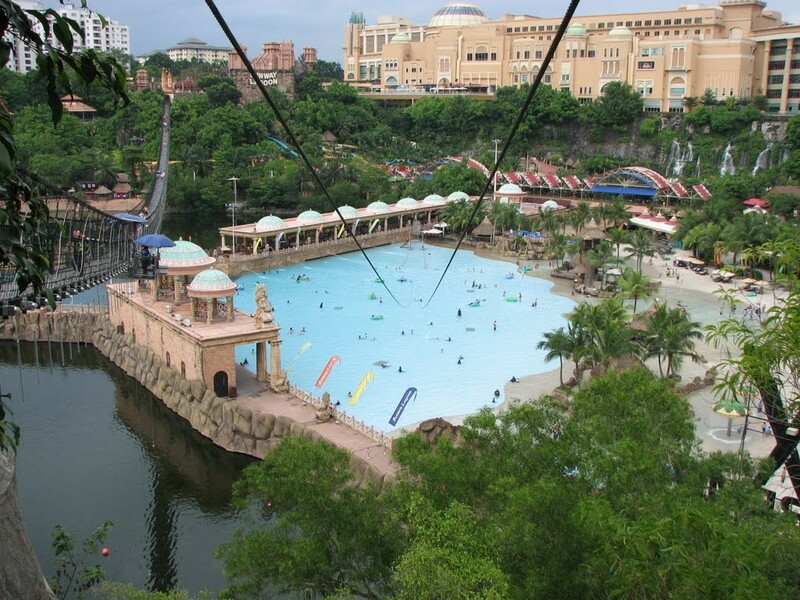 There are five different zones in the Sunway Lagoon – Extreme Park, Amusement Park, The Water Park, Scream Park, and the Wildlife Park. 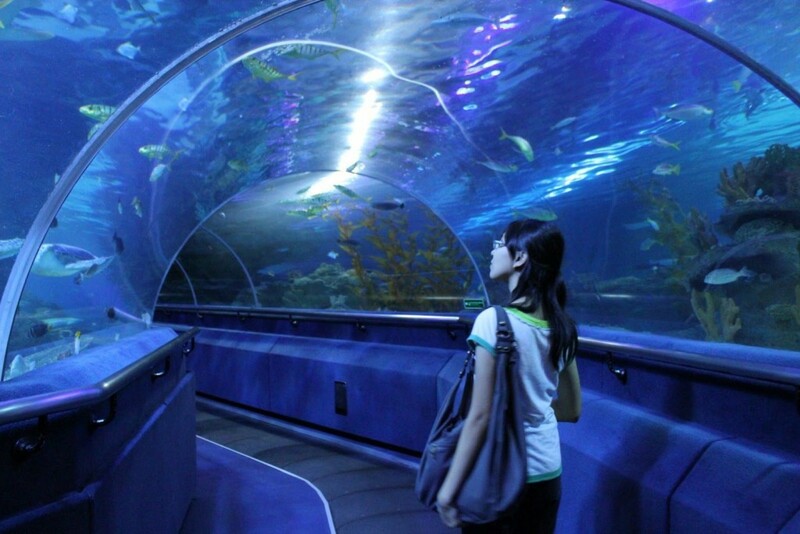 This 50 square feet aquarium which is located on the concourse level of Kuala Lumpur Convention center and is home to over 150 species of marine life is said to be one of the largest in the world. Some of the star attractions in the aquarium are the bright coral fish, seahorses, scary tiger sharks, and the lethal sea snakes. You would be amazed at the wonderful ambiance of this collection of freshwater and marine creatures. One of the best kids attractions in Kuala Lumpur. Your kid is sure to have a gala time enjoying this experience. This mammoth reserve which is spread across 110 acres surrounding a lake is also known as the Zoo Negara Malaysia and is located close to 13km northeast of Kuala Lumpur. The Zoo & the Aquarium houses close to 5137 specimens from 476 species of mammals, reptiles, amphibians, birds, and sea life from Africa and Asia. It consists of forests, a lake and 16 animal exhibits. It would be great fun for the kids to explore and discover the various species on display. This is definitely one of the best kids’ attractions in Kuala Lumpur. 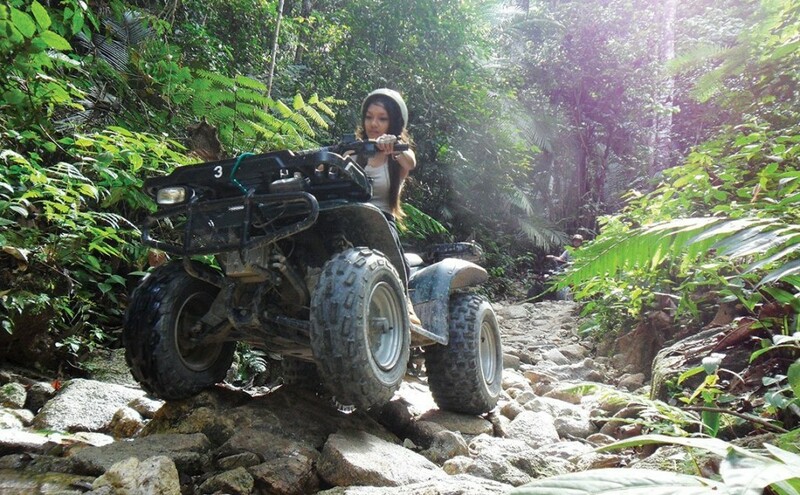 This is one of the best educational adventure activities for all ages, definitely for the kids. You can enjoy a fun ride through the forest on flying fox ziplines or balance on tree logs high in the air or even enjoy the amazing views of the forest from the platform nestled in the trees. There are 15 challenges in this adventure and the little adventure is perfect for young kids. The place is absolutely safe and full of fun loving activities which your kid is going to love. Recommended as the one of the things to do in Kuala Lumpur with kids. Now go beyond the normal theme parks and museums, let your kid indulge into some adventure during your Malaysia holidays. This place gives you one of the perfect non-traditional zoo experiences. Set in the Seri Kembangan along the Damansar Puchong highway. This massive farm is decorated with flowers among the lush greenery. There are several sections in this massive farm such as the reptile corner, bird aviary, snake sanctuary, and the koi pond. Apart from these, the turtle and tortoise section which is home to five different types of hard-shelled reptiles attracts several kids’ attention. 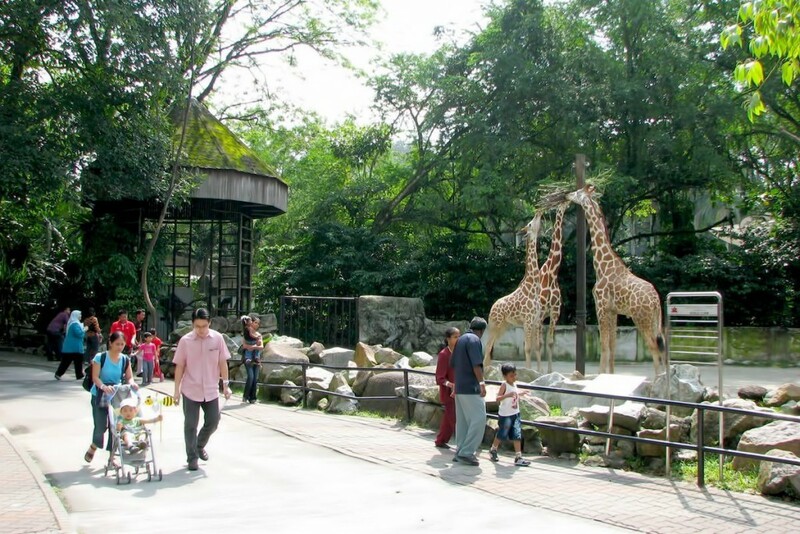 This park has one of the best collection of animals which is one of the reasons why this is one of the best kids attractions in Kuala Lumpur. 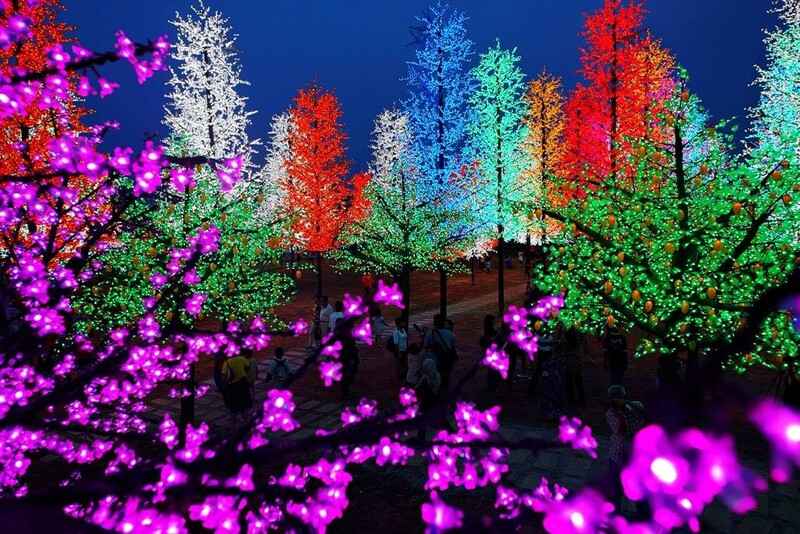 This theme park in Shah Alam is known for its expressive use of colors evident from its LED-lit attractions which have led it to be named as the city of digital lights. It consists of a water park, a snow park, a 3D museum. Kids are truly going to love this place. The artificial maple and pine trees are illuminated using LED lights which add glitz and glamor to this place making it a sight to watch. One of the best kids attractions in Kuala Lumpur. Enjoy the gigantic Ferris wheel rides or the two-tiered carousel. There are endless activities to engage with kids. This theme park is definitely going to give you and your little kid some great memories to cherish. 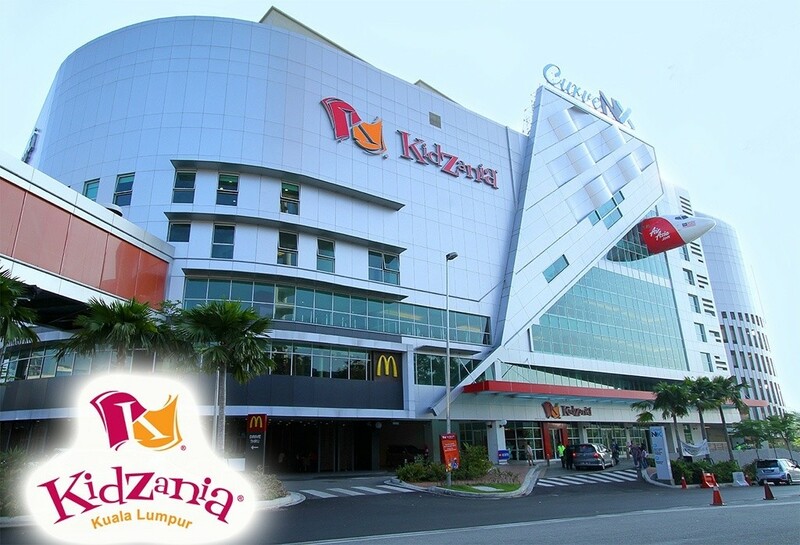 Situated on the 5th & 7th floor of the Berjaya Times Square shopping mall. 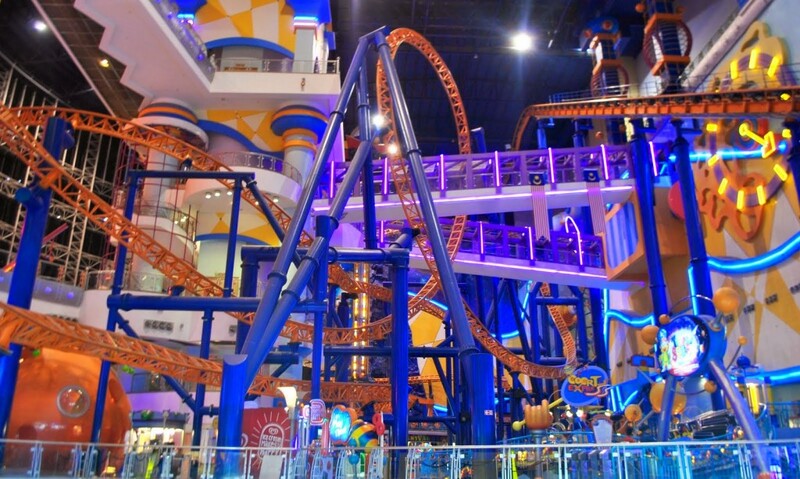 This is the largest indoor theme park in Kuala Lumpur. There are two divisions in this theme park, one for adults and one for kids, making it ideal for the entire family. This is definitely one of the places to visit in Kuala Lumpur with kids. The 800-meter long Supersonic Odyssey roller coaster and the DNA mixer are one of the star attractions of this place. 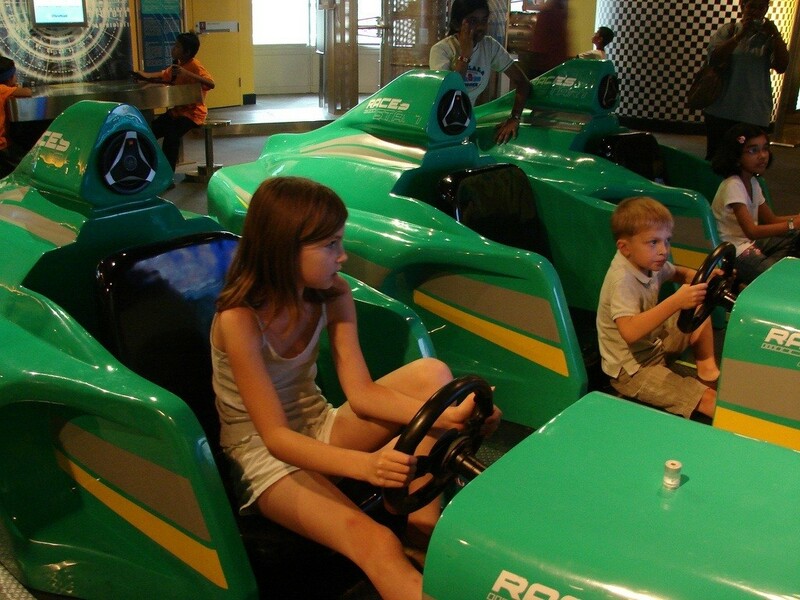 Enjoy an exhilarating experience which is going to give kids endless memories to cherish.